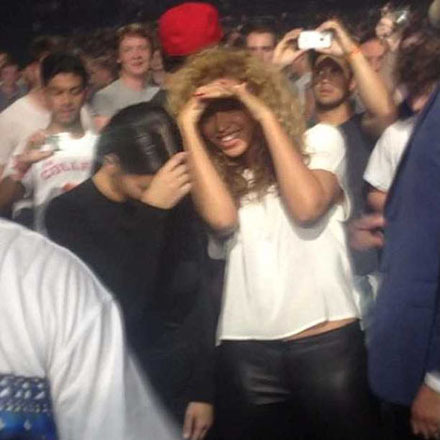 Looks like we can finally put those Kim Kardashian versus Beyonce feud rumors aside! 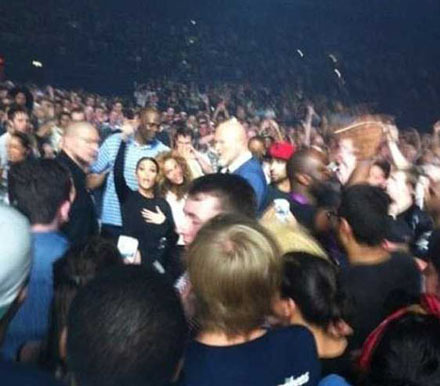 Beyonce allegedly didn’t want to see Kim Kardashian at Jay-Z and Kanye’s Watch The Throne concert, but these two looked like long-time BFF’s as they watched their beaus perform side-by-side at their show in Birmingham, England, on Friday night! 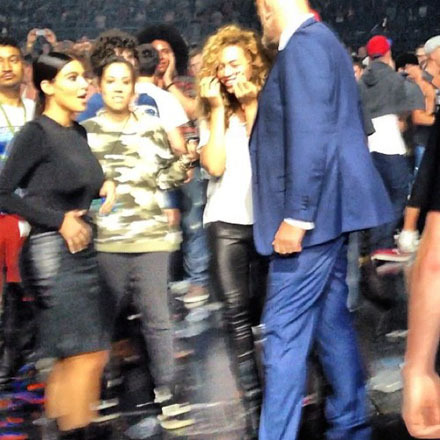 Bey and Kim were apparently enjoying each other’s company, and even dancing together during the concert! Holy crap, Bey, why were you lying than? Like you banned her from your inner circle, blah-blah-blah! 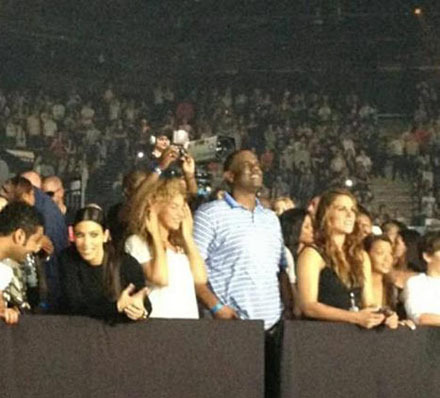 Kim Kardashian cosies up to new BFF Beyoncé! Okay, you know my opinion about Kim Kartrashian – she’s one C-list media ho. But when it comes to Beyonce people have amnesia, this girl was all hood when she came out first and for years after, she has this big huge ghetto tattoos on her leg, she slept with the same men Kim has been with too, Mark Houston, for example. Oh, I think I’ve got why these two are hanging out together – Bey has recollected her times when she also used her body to get to the top! Beyonce is not saint when it comes to video outfits. It was my point of view… What do you think guys? Do you think Beyonce and Kim K should be friends?